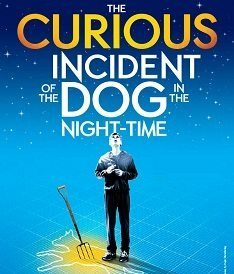 The Curious Incident of the Dog in the Night-Time has taken the west end by storm since it transferred to the Apollo Theatre in March 2013. 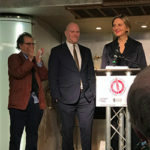 Not only has the show won a record equally 7 Laurence Olivier Awards, including the Award for Best New Play, it has received rave critical reviews. Mike Noble is the new kid on the block in Mark Haddon’s text as he takes over the lead role of Christopher Boone, an awkward but brilliant 15 year old boy. Christopher is in the thick of dealing with the loss of his mother when his next-door neighbour’s dog is murdered. In a bid to solve the crime and heal his broken heart, Christopher goes on an unlikely journey in order to find out who done it; a journey that leads the teen to an unexpected discovery. Mike was highly complimentary about Bunny Christie’s award winning stage designs, saying that he thought that they were one of the biggest attractions to the show. 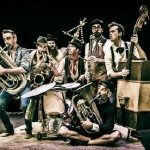 He also said that he loved the incorporation of the design elements in his performance as they gave him the chance to be more physical. Mike’s favourite moment to perform in the show is the scene at Paddington Station as he enjoys the acting limits he is pushed to with the physical contact sequences. Mike’s Favourite Colour is Green! Mike has been in Hollywood Blockbusters World War Z and Gambit. He loves the food provided on film sets! When Mike is not performing he likes to sample different ales. Mike’s favourite food (at the moment!) is Sushi – he loves working so near to China Town as there is lots of Asian food and fresh sushi near by! Mike was such a lovely lad that I almost felt bad inflicting the high pressure lightening round upon him! Mike manned up and faced the challenge. Check out the video below to see how he got on! 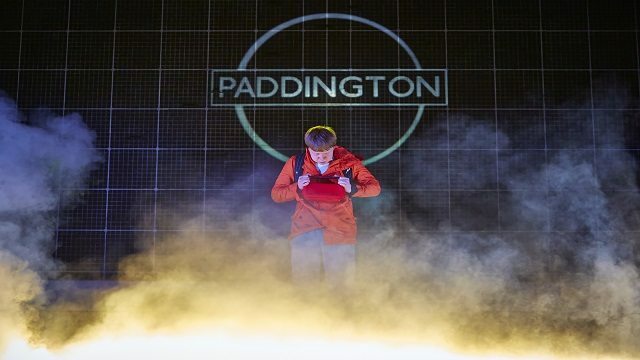 The Curious Incident of the Dog in the Night-Time is currently running at the Gielgud Theatre. Rebecca is a cheeky London lady with a love of theatre, cheese and wine (preferably all at the same time!) She graduated from Goldsmiths (University of London) with a First Class Honours degree in Drama and Theatre Arts and later went on to study for an NCTJ postgraduate diploma in Journalism.